I hope all of you had a lovely weekend and ready for a brand new week. I am very ready and very excited (lots of ideas - just not enough hours in a day :)). We are getting lots of rain today so it is a perfect day to stay in doors and create :). 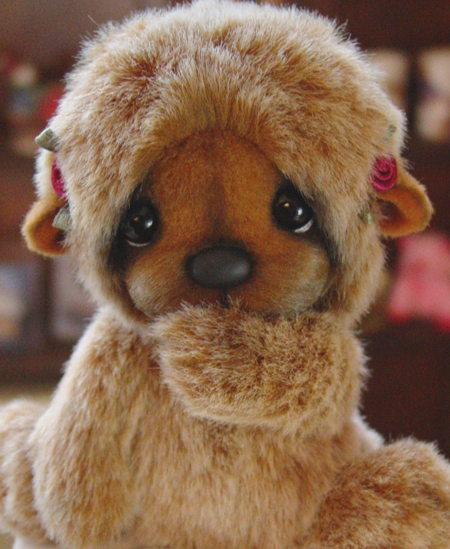 I have seen your bears at Teddy Talk and they are adorable, welcome to blogland. I'm a new follower, brought to you by your friend Janice and I must say your bears are wonderful. Do you have a link to your web store? I shall be keeping an eye on you, and please stop by and visit some time. Hi Ece, I'm very happy to be one of your new followers (curtesy of Janice). Shiloh is absolutely adorable! I'm so glad that I found your blog--it's really made my day. What a wonderful place to visit. 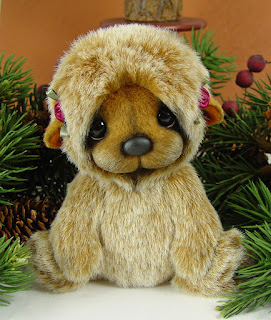 I am Prudence Clearwater, maybe your very first teddy bear follower. Giggle. We love Shiloh. 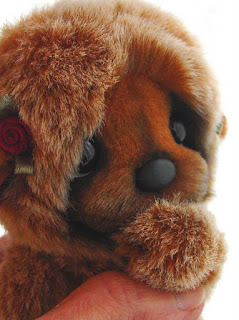 I have just found your blog Ece, and I adore your little bears. So full of cheekyness and fun. I want to hug him.